Siddhamantra is defined as that mantra, which when chanted can bestow siddhis or powers. Similarly we have siddhagranthas or books which have the power to grant our desires or siddhis. One such siddhagrantha is Sant Tulsidas?s Ram Charitra Manas (Ramayan). However, the Ram Charitra Manas may be too long for some people to read on a regular basis ? so it is considered that even reading the Sundara Kanda of the Ramayan will be equal to reading the entire Ramayana. For those who may find it difficult to read even the Sundara Kanda in its entirety, Sant Tulsidas has offered the essence of Sundara Kanda in 40 beautiful verses called the Hanuman Chalisa (40 verses about Shri Hanumanji). The Hanuman Chalisa is also considered a siddhagrantha and Lord Shiva himself has said that anyone who chants the Hanuman Chalisa with reverence and faith will get all his desires fulfilled. The Hanuman Chalisa teaches us how we can purify our lives and be successful in all our efforts just as Hanumanji was successful. It is said to ward of all evil and offer the devotee protection from all harmful influences. It is believed that meditation and chanting of these verses can put one on the path to success. 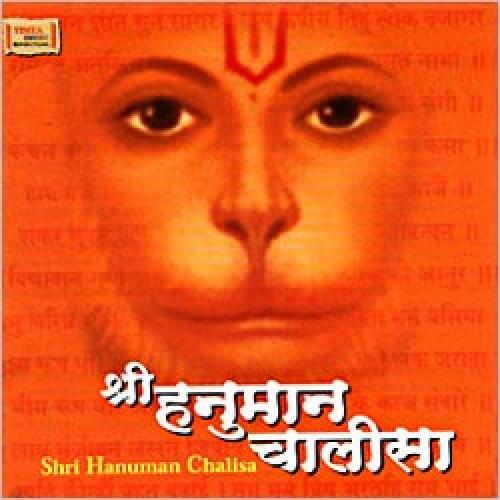 Here then is an opportunity for all of us to understand the Hanuman Chalisa ? one of the most powerful prayers ever ? and attempt to realise ourselves.